Pixel Fish - Colleen Burgoyne launches new site! Colleen Burgoyne launches new site! CB Lawyer provides expert advice in all areas of estate planning including the drafting of Wills, Powers of Attorney and Enduring Guardians. 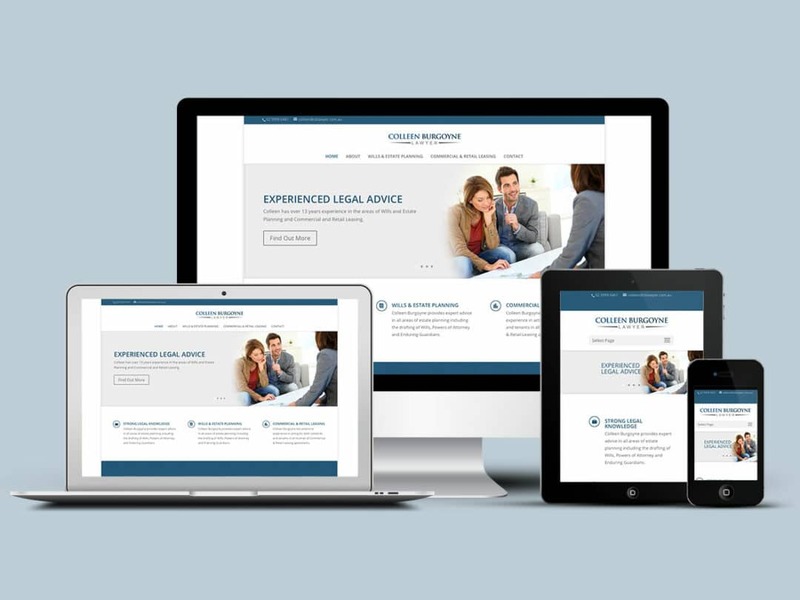 CB Lawyer recently appointed Pixel Fish to deliver a clean professional new website to show off her legal services. I engaged Pixel Fish to recreate and refresh my website. I have been extremely impressed with the quality of the design and the efficiency and ease of the whole process. My new website encaptures everything that I was looking for. It is modern and vibrant and projects the exact level of professionalism that I was after. Having a website design company that is readily accessible, affordable and more importantly local is extremely important for me. I have peace of mind to know that if there are ever any problems, Pixel Fish are there to help. I look forward to continuing to work with Pixel Fish in the future. I would recommend Pixel Fish to anyone looking for a fantastic, vibrant and professional website.